The Lister Hospital enjoys one of Chelsea’s most prominent sites next to the world-famous Chelsea Flower Show and overlooking the River Thames. Physiotherapy team providing coordinated pathways between inpatient and outpatient care. 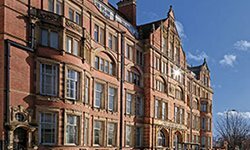 You can find our directions online at The Lister Hospital website. The Lister Hospital is situated in Chelsea on the north side of the River Thames. It is within easy access of Sloane Square and Victoria stations with good rail and road links to London’s main airports. Please be aware that local parking facilities are limited and we advise visitors to use the public car park in Battersea Park as shown on the map. Limited meter parking is available in Royal Hospital Road. Buses numbered 44, 137, 360 and 452 stop outside the hospital. The nearest Underground stations are Sloane Square (10 mins walk) and Victoria.